While we’ve been told all of our lives Wiis and trains just don’t mix, they never said anything about Wii Nunchuks. One terribly abused joke later, [Ken] tipped us off about his Wii Nunchuk controlled train set. 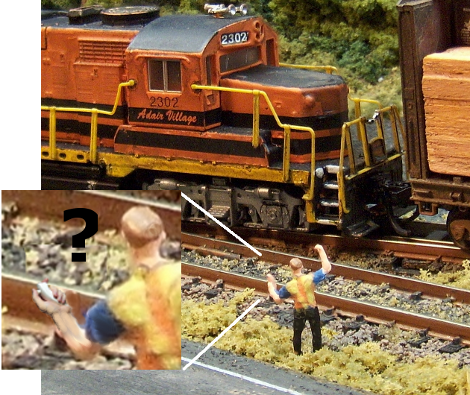 By utilizing Digital Command Control (think pulse-width modulation) with an Arduino, he is able to have full control over the trains direction and speed. The other part of the equation is a Wii Nunchuk and adapter. The setup should be pretty self explanatory, but there is an Instructable for those that need more help. Furries: is there nothing they cannot do? Well okay, “shower” remains an elusive concept, but wearable technology seems to be in, as evidenced by this robotic mood tail. [Wei-Chieh Tseng]’s adorable Arduino-driven fashion accessory operates either via Wii Nunchuk or a set of RFID cards tagged with specific emotions to depict. Details are scant. It appears to have been a project for a physical computing or design class. One thing’s for certain: Halloween is going to be awesome.